Equity schmequity! Who cares! My business is too small for me to be worried about what this is. Ah ah ah - not so fast! 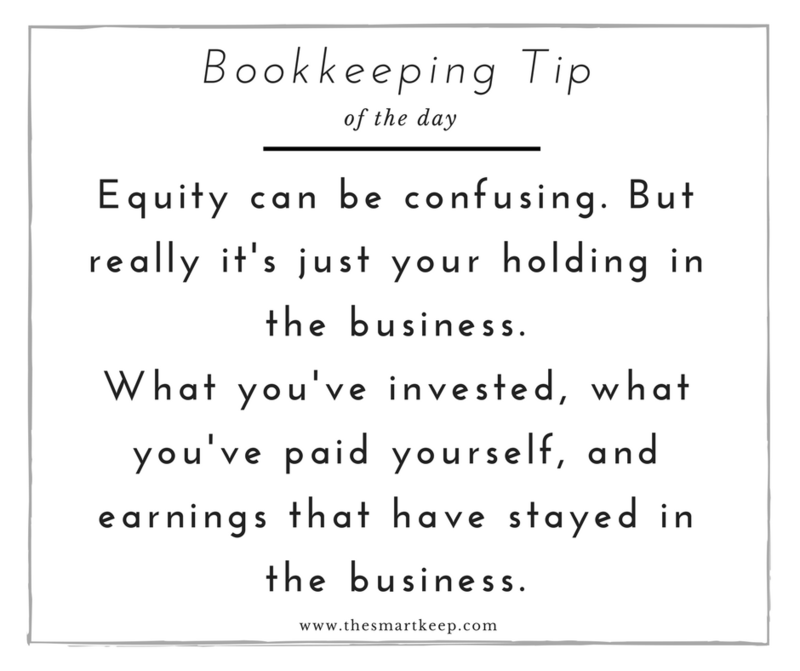 Equity matters to you too, even you micro businesses out there. Equity is really just what you've got in your biz. This includes money you've put in, equipment you gave to the business (like your laptop), what you've paid yourself, and the earnings your business has made that you've left put in the business.